Once you’re in hospital, doctors have several ways to bring your blood pressure to normal limits easily. But what if you’re home, without any medicine to lower blood pressure instantly naturally? And need to bring your severely high blood pressure within normal limits? 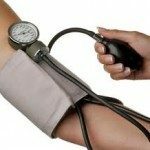 Here are a few tricks for immediate treatment of high blood pressure. 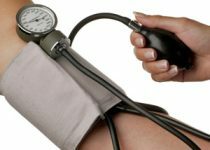 Well there are several remedies to lower down your blood pressure at home in an emergency situation which we’ll be sharing in this post. Before attempting first aid for high blood pressure at home, please note, that the tips to lower down your blood pressure in this post aren’t meant to replace specialist consultation and hospital visit in any circumstances. Please visit your nearest hospital whenever possible in case of hypertension as it may have serious outcomes. Also remember, that some ways to bring blood pressure down immediately can be harmful to our body including brain. 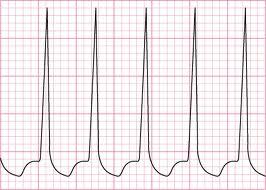 They can also develop hypotension (opposite of hypertension). That’s why never attempt any remedies or techniques without consultation with your doctor. First of all, once you find out high blood pressure, note it down in a notebook with date and time with it. Check the blood pressure of the patient using a sphygmomanometer. Sphygmomanometer is the bp apparatus, used to measure blood pressure. It can be manual one that requires you to have a stethescope too, or a digital one. The digital bloodpressure monitor tells the blood pressure itself by cuffing it around the arm above elbow or at wrist and turning it on, depending upon the type of the bp apparatus. Make sure that the patient is having high blood pressure. Lowering the blood pressure when it’s not high may result in hypotension. Hypotension means abnormally lowered blood pressure and it can lead to serious complications too, including death. So make sure that your patient is having high blood pressure. If you don’t have a bp apparatus device at home then take them to the nearest clinic or hospital to get it checked as soon as possible. Secondly, drink WATER. lots and lots of it. Drinking plenty of water, going to washroom and urinate, and then repeating. It’s one of the best ways to bring down blood pressure at home if no medication is available or possibility to take the patient to the hospital is not there. Note that don’t give the bottled water like nestle and others containing sugar in them. (Yes they do, and sugar is contraindicated in high blood pressure state). Water is an emergency blood pressure lowering agent. It might not work to lower the blood pressure when it’s “too” high, but still lowers it to a certain degree. When ever you have high blood pressure and don’t have any antihypertensive medication around you, start drinking water. Lots and lots of it, once glass after another. After 4-8 glass of water you will definitely feel an urge to urinate. Recheck your blood pressure after urinating and keep on having water. Intake of extra water causes kidneys to filter out the excess water from the body, which infact also takes out the salt from the body leading to lowering of blood pressure. This tip is tried by me personally on my patients and it really works when we’re out of medications at home or at some place. There are other tips around on the internet too but haven’t tested them or heard them from any reliable source. So I’ll prefer not sharing them. Please note, don’t give water to a patient when he is unconscious or semi conscious as it may go in his respiratory tract and cause serious complications. Stop giving salt, salty stuff and sugar plus sugary stuff to the patient. Well salt is an obvious one, it elevates the blood pressure, however many people don’t know that sugar does the similar thing too. Sugar elevates the blood pressure too, so if a patient is taking care otherwise but taking sugary and sweet drinks and other stuff, then their blood pressure is going to shoot, specially if they’re prone to blood pressure rise. Take the patient to the doctor as soon as possible and get their medication adjusted if they were already taking the medicine. If they were never taking it, get it started. The doctor will explain you regarding any prerequisites or tests required for your patient. It’s important not only to control blood pressure before any surgery but also during routine life too, as abnormal blood pressure and hypertension can lead to many complications, including death. Doctor may ask you to get bp charting done for a week at least too before starting the medicine. Simply follow whatever the cardiologist suggests. Remember, not to wait for the home remedies to lower blood pressure to kick in and lower it for you. Get the medicine and get the blood pressure in control as soon as possible and then start shifting to blood pressure lowering remedies and the natural ways to lower blood pressure if you want to, while keeping the blood pressure in control. Regarding self medication, remember, never take any medicine on your own and without getting the blood pressure checked, as abnormally lowered blood pressure can be damaging and can even cause death too. Some reactive patients will react to many other stimuli throughout their daily lives and require treatment. 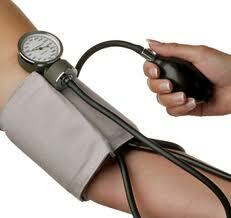 In some cases a lower blood pressure reading occurs at the doctor’s office. You’re right. That’s why measuring the blood pressure twice daily at distant intervals for at least a week is recommended. Both before advising and after starting the medicine. It helps to lower down the blood pressure in hypertensive patients. my blood pressure was 188/118 at the dentist office yesterday morning so they would not pull a tooth out that is causing me to be in constant pain. i have swelling around my temple and top check bone around my right eye area due to tooth ache. what is your suggestion? I would suggest you to visit a medical specialist or cardiologist as soon as possible so that they can help you manage your blood pressure. If it’s 140/100, then you can simply take plenty of water until you feel urge to urinate. Check the bp again after you pee and make sure that it’s under control now. Note that this has to be simple clean water, not any drink and preferably not packaged waters like nestle, etc. You need to go to hospital if you’re having hypertension right now. This is critically high blood pressure Sheila! Why can’t you go to hospital? And how did you check it? Get it checked from some clinic / hospital at least and then do as the doctor who sees you practically advises! Mine is 193/123 and Im dizzy and my legs swelled up and am scared.. the dr only gave me an antibiotic assuming my legs had cellulitis (i was worried about blood clot as they are not red and itchy but burn and a pinched nerve by the groin).. all these scary articles say run to the hospital but why,.. they will just monitor you and you wont be home.. so Idk what to do. She made me an appointment for next week but im scared. They ask you to rush to hospital so that you don’t die of a stroke of heart attack. Avoid salt and be regular on your antihypertensive medications please. Let’s see if I can make this short. I’m on valsartin for high BP that is caused by my thyroid being out of whack. I also was on a beta blocker but I’m now off of that for about a month. My BP is currently up again. Right now it’s 180/96 and pulse 96. I have bad headache. Is there anything I can do to get it to come down. I’m out of town for the holidays. 180/96 is too high to be sitting here and commenting imho. You should get up and go to the nearest hospital or clinic and get managed by a doctor. Besides that, did you read this post completely? Please do once you’re feeling better so that you can avoid this condition and hypertension in future too. Thank you! I did drink lots of water and the pressure did come down to a normal reading. I will be contacting the doctor when I get home. Glad to know that. Please avoid salt too and keep checking blood pressure regularly. Monitor your blood pressure twice a day and keep a record on paper in the form of a table. Stop putting salt in your meals completely. Also get your sugar levels checked for diabetes. you need to stop talking salt completely right now and you don’t have any doctor that you can visit? Any nearest hospital? Check your email I’ve emailed you to keep in touch. my blood pressure is too high it’s around 170/110…. i went to the doctor & for the last few days im start taking medicine (bislol 2.5) but its was still high then again went to dr. & he advise me to take “bislol 5”. last 5 days im having the medicine but still it’s around upper 160/170 & lower 100/110. Stop taking salt completely. Don’t add any salt to your meals when cooking them too. Tell me the improvement with these changes please. My husband has high b/p and is on 5my lisinipril q d. Tonight, he is working and c/o excruciating head ache. I am a licensed nursing assistant so I took his b/p 160/100. I told him to start drinking water and sit for abut and try to relax. He can’t take any statins. Is there anything else I could have done? You advised him right. What was his blood pressure after drinking 4-6 glass of water and relaxing? It had come down some. 138/86. But I still wasn’t comfortable with it. Could I have given him his lisiniprin? Is zofran safe to take while on lisinipril? He has been sick with nausea and diarrhea and body aches and constant headache. My granmothers bp was 200/120 at night and she was panting I was helpless what should I do in such circumstances . This was the 2nd time it happened. You should never let this condition happen in first place. Restrict her salt intake, make her regular with antihypertensive medication and start her on regular walk. In case the bp goes that high, rush to the nearest hospital. My husband is 37 n his blood pressure is always between 160/120-180/130 n today 185/125… n his expression scared me today. I called up a local doctor he told me to gv da medicine… which he had in da morning but strange it didn’t work much… I tried acupuncture, soaking feet in water, breathing exercises… now it has reduced to 170…he is having Telma 80n still not dat good I guess… n m worried about da side effects… (kedney failure) dat I have heard…. his weight has raised to 95… I send him to gym but I heard its not good for his health. Wat do I do? Help me. You should make him visit a cardiologist or a medical specialist as soon as possible so that they can adjust his medicine to control his blood pressure within normal range. What if someone have blood pressure of 240/120mmgh and was advice to go hospital refused because she does not have money. What help can ton give the patient? The best help you can give to that person is to give them money or to take them to a public / free hospital where a professional can see them before they die or get any other permanent damage. My mom has trouble sleeping due to high blood pressure. She’s walking and she’s drinking alot of water but she still feels uncomfortable or disturbed. Is there anything we can do to help bring it down quickly and safely? How much was her BP? Is she taking regular BP medicine? This is very high blood pressure. You should take her to the hospital in this condition asap.